I have always crafted as much as I’ve arted. Initially I was going to question the difference between the two, but after discussing it at length with Ange, I realised it’s pointless. He says even having a conversation about the difference between them is twee and for the over-educated, because the two are equally creative. But if you are interested I just read the book “The culture of craft” by Peter Dormer, who really delves into the cross-overs and historical differences between craft, design, art and technology very thoroughly. The reason I’ve been thinking about this is because I often feel as though my craft is not as ‘valid’ as my artwork. Which is ridiculous. Craft and art are both wonderful and I’m learning to feel as accomplished when I finish a new quilt as when I have an exhibition opening. So with that, let me tell you about my new project! 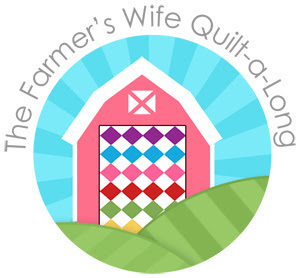 It’s called The farmers’ wife quilt, which I initially found out about because of many hundreds of quilters doing a quilt-along, but specifically from this wonderful blog. I am over a year late, but have joined along with other latecomers and decided to attempt it over winter. It was started by Amanda and Angela who are now finished/close to finishing, but I find their completed quilt blocks good motivation, if you buy the book you can join too! I can see much frustration in my future, but I’m going to embrace it whole-heartedly. I feel equal parts enjoyment and anger at sewing. We’ll see which emotion wins. 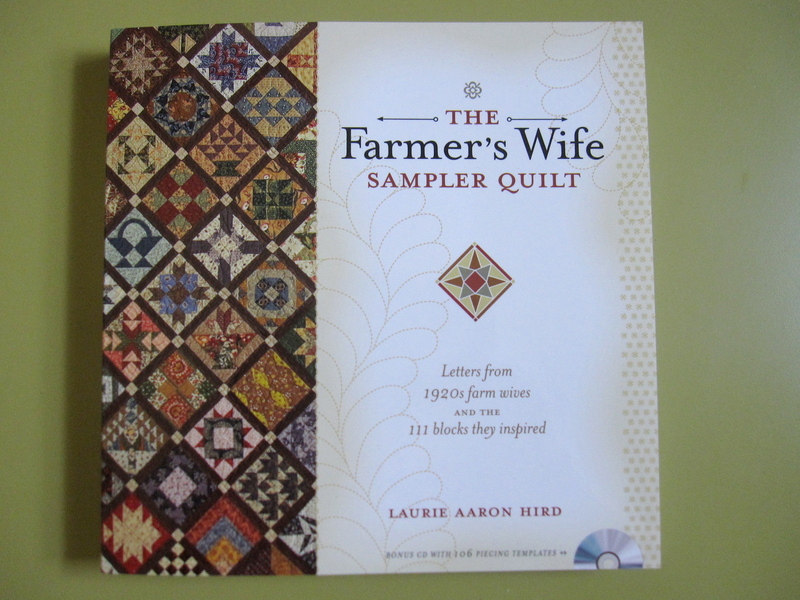 The farmers’ wife quilt is a compilation or ‘sampler’ quilt made up of over 100 different quilt blocks. It comes from a lovely book compiled by Laurie Aaron Hird and is a remarkable collection of letters from farmers wives from the United States in the early 1920′s. A popular magazine at the time – The farmers wife, held a country wide competition asking women to write in and tell people whether or not – in all honesty, knowing what they did about the life – they would want their daughters to marry a farmer. Had a mini panic thinking that I’d printed them all too small and spent the entire weekend cutting out tiny pieces of useless paper. But some careful measuring and I was OK. Although a later thought was that I should have printed the templates out bigger. This one's for you Mere! 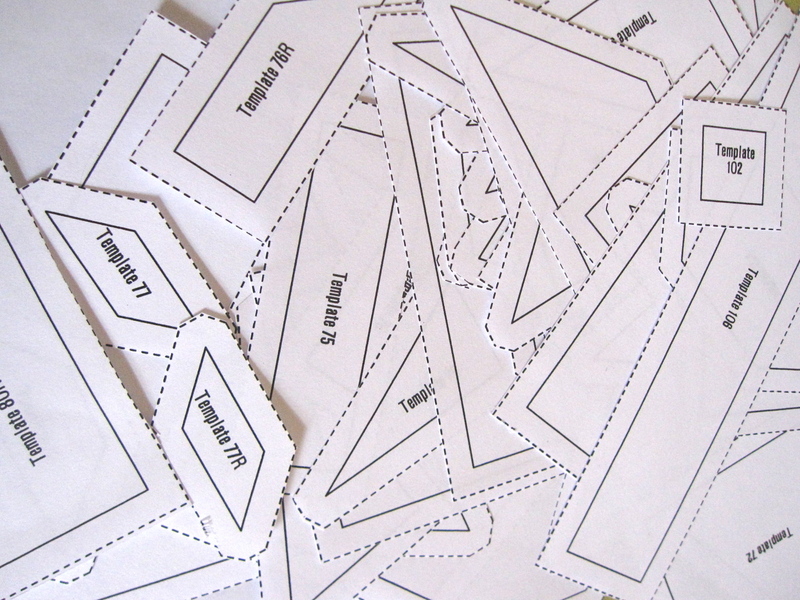 I also took the time to colour code each of the lots of 15 that I divided them up into. 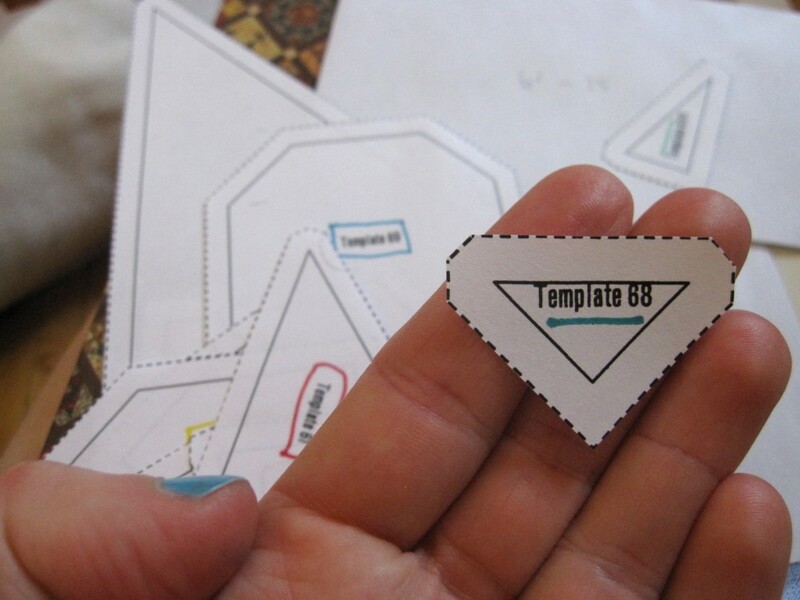 That way I can grab the template I need and know it’s #1 of the lot if it’s red and #12 if it’s blue etc. Plus I always work better when I arrange things into colour. Any quilter knows the best part about a new quilt is choosing fabrics. It could literally take days or weeks or months. A color theme? Certain patterns? All one fabric designer? 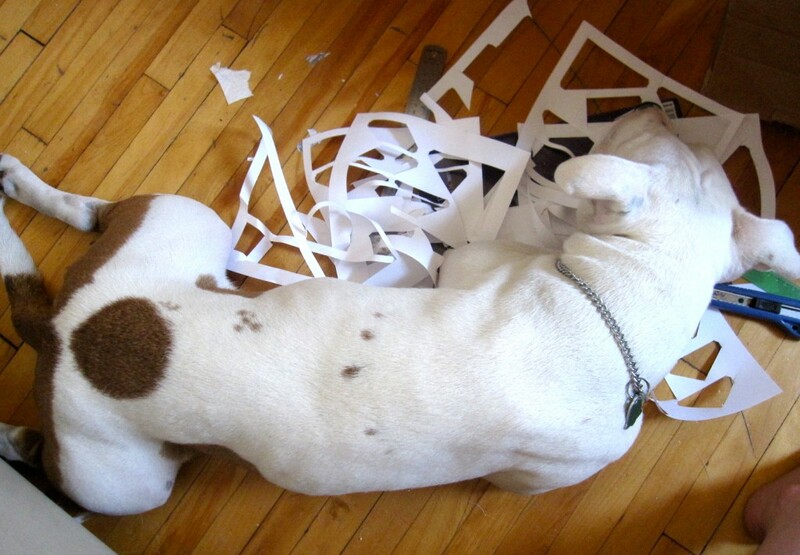 Scraps? Seeing as my stash is divided over a few of continents, I went for scraps. That way I can use whatever I can find, although I did spend the better part of a Sunday in one Montreal fabric store. 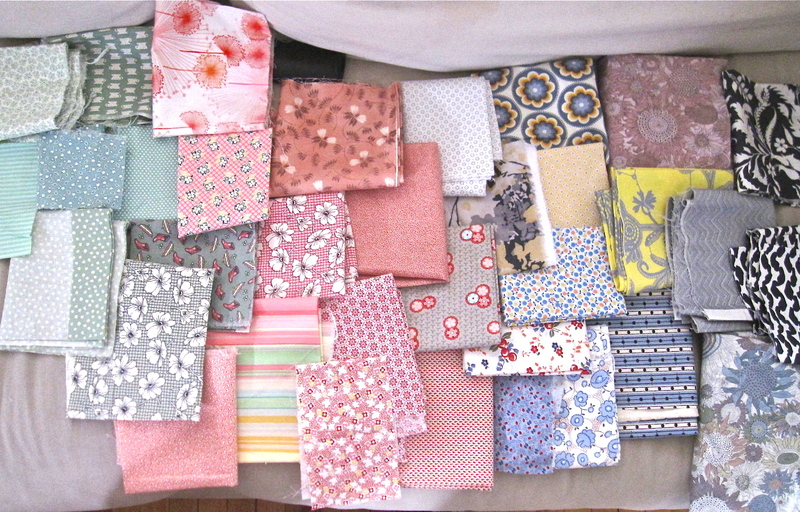 My stash in Canada is partly provided by lovely Mere, who in fact, I couldn’t sew without, it’s also her machine! And as I am known to do – I chose all colours! I decided to go for lights, pastel and greys, but we’ll see. A quilt with over 100 blocks will definitely evolve. So that’s it for today. 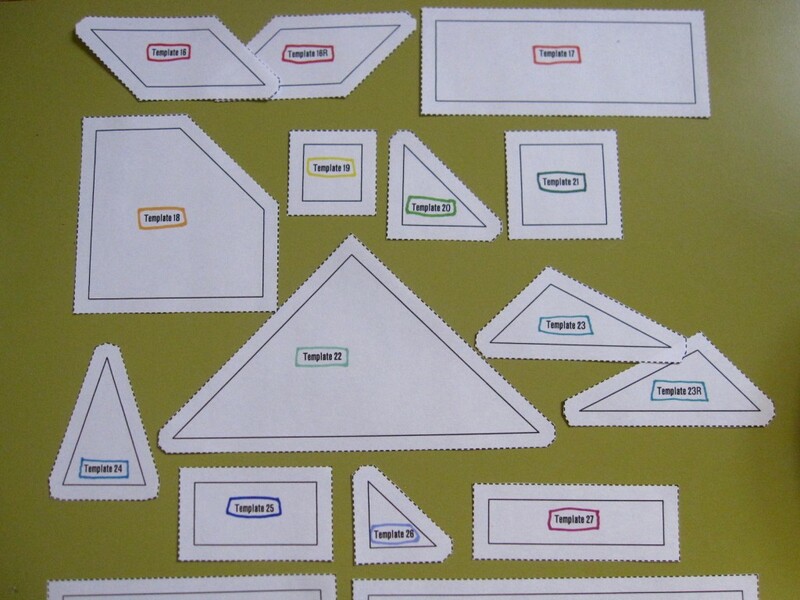 This week I am going to start cutting fabric (I know, the excitement) and begin sewing. Wish me luck (because I’m going to need it).